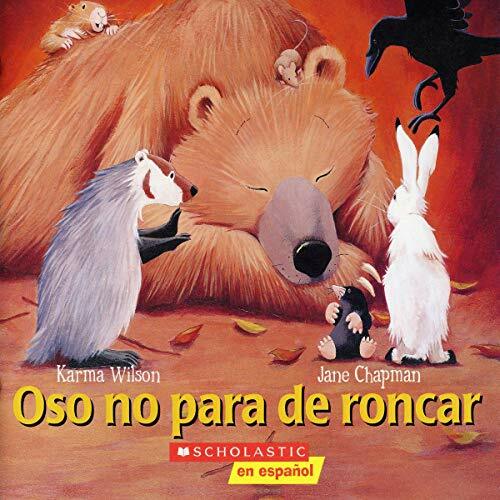 Showing results by author "Karma Wilson"
Acclaimed author Karma Wilson tells a festive story about friendship and helping others when they are sad in this Children’s Book-of-the-Month Club Featured Selection. Bear is snuggled in his cave for the winter. He sleeps all day and all night. The cold wind can’t even wake him up. He just snores on. Then, one day, something unexpected happens, and he is woken up. 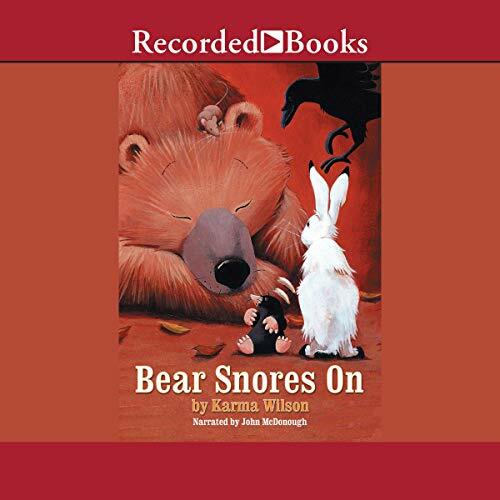 John McDonough’s playful narration helps listeners become involved in these woodland creatures’ activities. 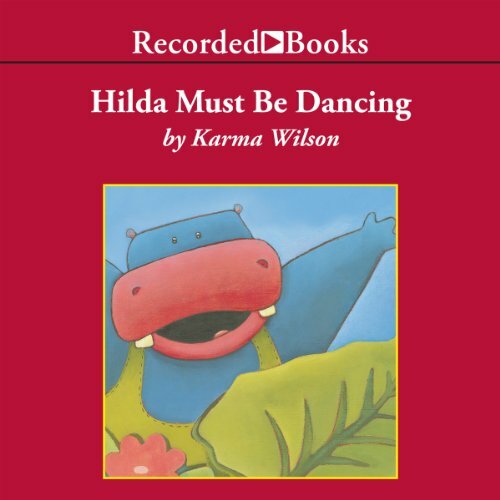 Award-winning Karma Wilson, author of Bear Snores On, has created the delightful Hilda Hippo - a hippo who loves to dance despite all the noise she makes while doing so. It’s just that the Ka-bump! Ka-bump! Crash! Crash! Crash! noises disturb her jungle friends. Maybe Hilda could take up knitting? But knitting doesn’t quite suit the would-be ballerina. Perhaps she and her friends can find some sort of compromise! Wer Freunde hat, braucht sich vor nichts zu fürchten! Bär hat die besten Freunde der Welt! Und weil das so ist, helfen sie ihm auch, wenn er mal krank ist, den Heimweg nicht mehr findet, für alle ein Fest geben will oder ihn nach dem Winterschlaf schrecklicher Hunger plagt. 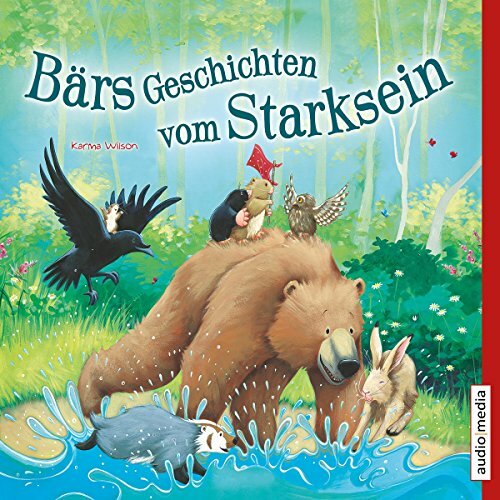 Und der starke Bär? Der ist natürlich auch immer für seine Freunde da. Als sie in der Eule einen neuen Freund finden, ist er überglücklich. Denn eines weiß Bär ganz genau: Gemeinsam ist man am allerstärksten! The New York Times best-selling children’s author Karma Wilson has won many prizes such as the National Parenting Publications Children’s Resource Gold Award. 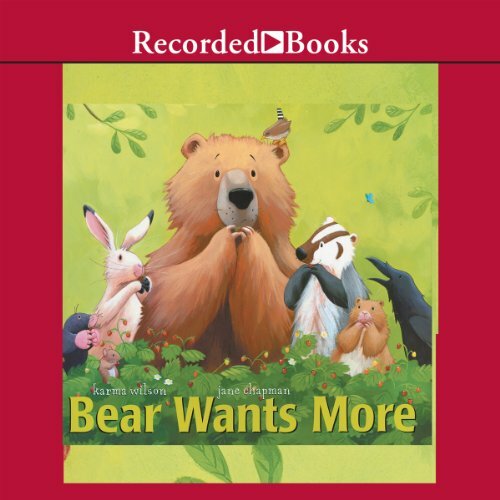 Her story Bear Wants More is a Children’s Book-of-the-Month Club Featured Selection. It’s springtime and Bear is waking up from his winter nap. He hasn’t had any food in a long time. Bear is HUNGRY! John McDonough’s exuberant narration will be loved by all young listeners hungry for a good story.